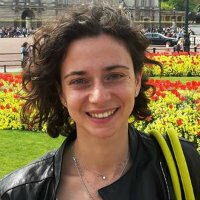 Chiara De Amicis is Ph.D. candidate in Finance at Cass Business School. Her research focuses on empirical corporate finance. English (can read, write, speak, understand spoken and peer review), French (can read, write, speak and understand spoken) and Italian (can read, write, speak, understand spoken and peer review).